Finalist proposal for the International Concept Competition for the Northern Osaka Station Area. 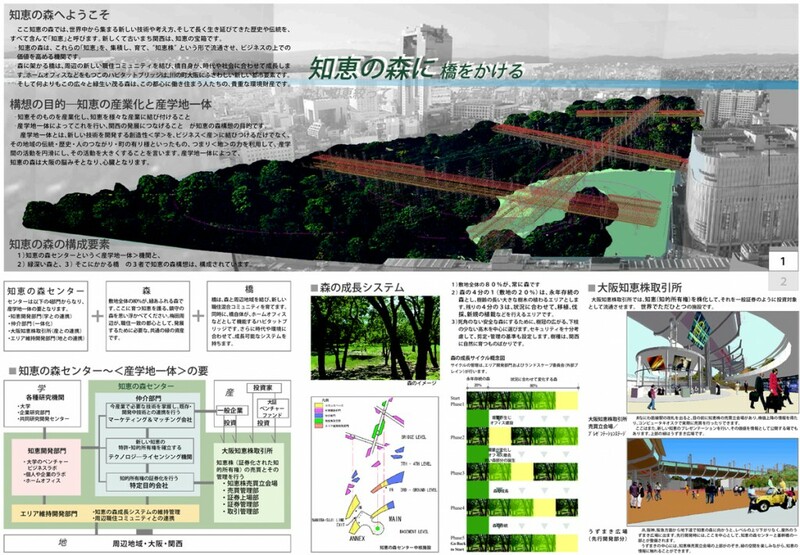 For a 24-hectoare cargo yard at the center of Osaka City, PED proposed a “Forest of Wisdom” and a series of habitable “bridges” over it that connects surrounding neighborhoods. 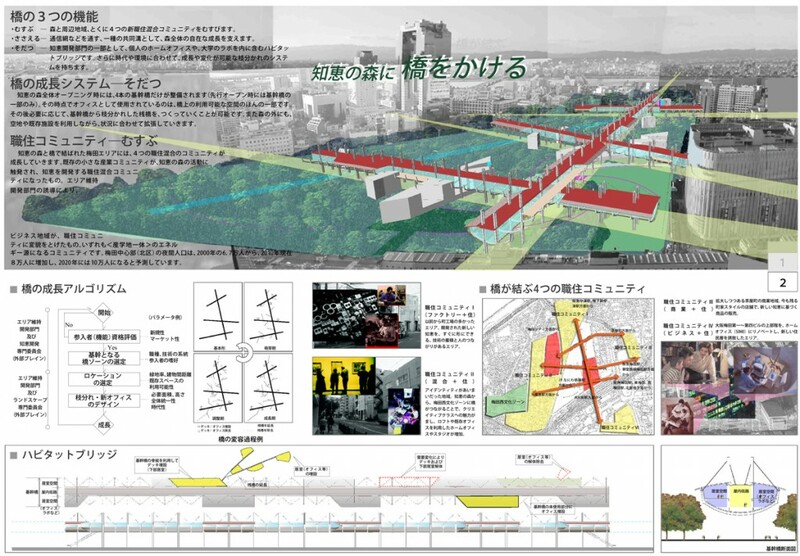 In the proposal, natural environment is secured in the urban center, the organization to incubate knowledge and support the academic-business partnership is planned, and flexible bridge structures to accommodate the offices and home-offices are designed to encourage the growth of the community. *Click the image for a PDF version.